Warner Home Video (WHV) hasstruck a deal with Czech independent home entertainment company Magic Box tolicense and distribute Warner Bros' new releases and library titles as ofOctober this year. 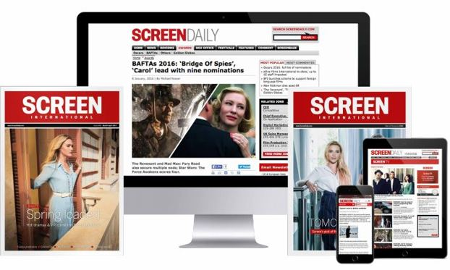 In April, Warner Bros CzechRepublic managing director Ladislav Stastny told ScreenDaily.comthat falling revenues had lead to the decision to phase out the Czech affiliateoffice. In a statement, Philippe Cardon, WHV executive vice president and general managerfor Europe, Middle East and Africa (EMEA)said, "The DVD market has matured, reaching saturation in manyterritories. Thriving piracy in these markets as well has had significantimpact." Magic Box chief RobertSchaffer added: "We are thrilled to have the opportunity to combine our localexpertise with the world renowned product of WHV, extending our portfolio andproviding the landscape from which we can work together, adapting to currentdistribution needs of the Czech and Slovak Republics." Magic Box also distributesfor Paramount Home Entertainment International. The company was established in2000 as the home entertainment label of AQS, a company specialized in licensingprograms for theatrical distribution, home entertainment and TV broadcasting interritories of the Czech Republic, Slovakia and Eastern Europe.